Today we live in a digital and online era, where the use of the mobile phone can no longer be ignored for both business and private use. Everything is mobile first and preferably fast and easy. And if we look beyond the online world, the customer also expects this from the physical world. This is where the QR code plays his key role. The 5 reasons why the use of QR codes are back. In countries such as China and South Africa, paying via a QR code is already the new 'normal'. We also see that Belgian consumers are increasingly making use of QR codes at checkout, both online and in physical stores. Meanwhile, Dutch banks have also placed a QR scanner within the mobile banking app so the customer can also confirm an online purchase via a laptop or mobile phone. This without the use of a debit card or lost identifier. This is an important step that increases the use and confidence to pay via a QR code. Because a QR code can be both printed and displayed on a screen, the possibilities are endless. It’s easy and cheap to place the QR code on the cash register screen or the delivery van or print it on an invoice or on the receipt. For many companies QR codes are the most accessible, scalable and user-friendly method. By scanning a QR code you can pay quickly and discreetly. You immediately see if the payment is successful and it offers the possibility to leave a personal message or thank you on the mobile phone of your customer. From screen to mobile: Place a QR code on any screen, such as a computer, order column or tablet and let your customer pay with ease. Invoicing: Many companies still send an invoice. By printing a QR code on your invoices, you prevent errors when retyping payment characteristics or long bank account numbers (IBAN). Mobile donation: Various charities use QR codes to collect donations. Think of printing them on collection boxes, posters or on a 'not-at-home' card. Paying without a wallet: More and more people go out without a wallet or debit card, but very seldom without a mobile phone. 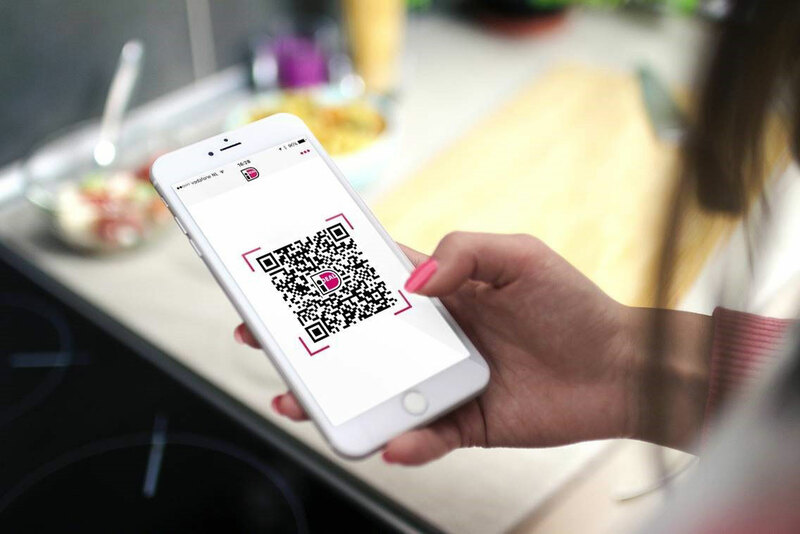 Paying with QR codes offers many advantages for restaurants and events where the purchase of a terminal is too expensive or cumbersome. iDEAL is the most widely used online payment method in the Netherlands. The majority of all iDEAL payments now pass through the mobile phone. Almost everyone knows the use of payment systems (such as Tikkie and ING payment request) with which you can quickly repay friends, family and colleagues. With iDEAL QR, the bridge is now made to the physical world and a new world is being opened up. With more than 9 million consumers who own a smartphone and app from the bank, it’s only a matter of time that QR payments will present the image in shopping streets. Finally, CM.com, commissioned by Currence, made it 'temporarily' possible to scan iDEAL QR codes, both with or without using the mobile banking app. This prevents customers of banks that are not yet ready for scanning iDEAL QR, to install a separate app to pay via iDEAL QR. CM.com specializes in the development of innovative payment and communication solutions. Are you interested in your key to the digital world? Call app Talk360 refers to itself as telco 3.0: the one and only global telecom provider. The concept was developed in 2009 by Hans Osnabrugge (CEO) and Wouter van den Berg (CMO) and launched in 2013. As you might have read in our email on Sunday, Mobile Convention Brussels turns to live streaming for this edition, due to security threats in Brussels. CM Telecom will be attending the Wholesale World Congress (WWC) in Madrid on the 3rd and 4th of September. The event will take place in Hotel Medliá Madrid Princesa and is all about meeting the international telecom wholesale community. WWC is an event for the entire industry focussing on SMS, Voice and Data.